Tattoos have been around for thousands of years. They have been present from the ancient Greeks and Romans to Africans, Native Americans, and Polynesians. In our society, they were symbols associated with rebels and social outcasts. Nowadays, however, tattoos are considered more like an art form instead of just a garish designed to call for attention or a single remark to categorize people. This type of art form has come a long way, and as tattoo professionals and enthusiasts, we would like to share with you some curiosities about our passion. The first tattoo tools included chisels, picks or rakes, and soot-covered thread, which would be sewn through the skin! 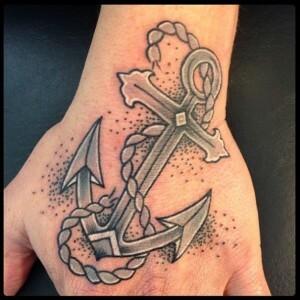 Over the years, sailor’s tattoos have had different meanings. For example, a turtle indicated he had crossed the Equator; a dragon meant that he had worked in China, and an anchor symbolized that he had crossed the Atlantic ocean. Samuel F. O’Reilly patented the first tattoo machine in 1891. Martin Hildebrandt is accredited to be the first professional tattooer in the U.S; a German immigrant, who arrived in Boston in 1846. The needles penetrate the skin about a millimeter deep, so the insoluble ink stays in the second layer called the dermis. The cells of this layer are much more stable than the ones of the upper layer referred as the epidermis, with little dispersion and fading during a person’s lifetime. In average, your skin is pierced between 50 and 3,000 times per minute when you are being tattooed. “Holiday” is the name of the area where the color of a tattoo has lifted out during the healing process. 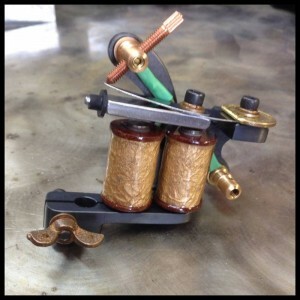 A tattoo machine has four parts: a sterilized needle, the tube that carries the ink, an electrically powered motor, and a foot pedal to control the vertical movement of the needle. Now that you know some interesting facts about tattoos, it is time to get one! If you want to express yourself by adding beautiful illustrations to your skin, come to Mantra Tattoo in Denver, Colorado. We have a team of artists so whatever tattoo style you choose, we can do it. Wait no more and schedule an appointment today!